Well written and interesting analysis of your experience. You wisely avoided the narrative retelling done by many students. Your writing is engaging and interesting, but further editing would help clarify the arguments and eliminate minor errors. It’s difficult to cover the assignment in under 500 words, but your concise analysis did the job. The word ‘solitude’ tends to leave a bitter taste in some people’s mouths. In this generation of tv, TV, internet, smartphones, and overall overexposure of media, solitude is mostly left in on the back burner. As Deresiewicz says of his students in his article, “Why would anyone want to be alone?” The last 48 hours of no news provided me with a different, but refreshing, a perspective I am not accustomed to. For the most part, the The first few hours passed quickly and easily. , between Between classes, homework, and friends, the lack of news or media, in general, is easy to forget. It’s when there is no one around and you find yourself in a place of solitude that you feel the weight of the assignment. Trying to fill your afternoon with activities that don’t involve any news becomes an activity much more difficult than you initially believed. it would be. Movies take the place of nighttime news, youtube YouTube takes the place of Instagram posts, and going to bed early takes the place of those ESPN scores we try not to feel too upset about. The constant information of watching TV, texting, Instagram, or one of dozens of media forms ensures we never feel alone. Solitude has never been an issue with me as it seems to be with many other young people, like Deresiewicz’s students who sit with people just to write papers. I value my alone time with no one around and nothing to distract me. Solitude doesn’t have to have a negative meaning like most people tend to give it. It can be, as Deresiewicz describes, a time to reflect and to just listen to that still, small voice. There is no better way to get to know yourself than when you’re alone. This is something many people don’t understand. There is a constant buzz of noise around us that doesn’t allow us to experience and enjoy the silent moments. Interesting observation. Excellent work. Your analysis was thoughtful and well-researched. Writing was very good, but batch your tenses and omit needless words. In this film, all entities that are modified are connected. In a way this can be compared to Deresiewicz’s argument stated in this prompt, “…solitude enables us to secure the integrity of the self as well as to explore it…”. The main character, Major Kusanagi, utilizes solitude when she is off diving in the ocean on her own time. When asked why she would risk such things, she replies that she feels “…fear, anxiety, isolation… darkness [and sometimes]…hope”. Major Kusanagi explains that she hopes that when she emerges from the water, she becomes someone new entirely. In the past, you had to write a letter to communicate with someone. The letter could take days before it was delivered. You also had to follow-up to see if it had been sent to and received by the appropriate person. Errors were not uncommon as well. However, today, thanks to science and technology, all you have to do if you want to communicate with someone is to send them a message on social media or put a call through. Who hasn’t heard of Facebook, Twitter, or Whatsapp? They are all part of everyday life and seem to be going nowhere. Irrespective of the location of the individual, the message gets delivered at the same rate and speed whether they are right beside you or on the other side of the globe. Also, technology Technology has changed how we watch television today. Today, you You can pause live TV, rewind it if you missed something, and control it depending on how you wish to follow the live experience. What is happening in the TV industry with the aid of technology is nothing short of incredible. With your mobile devices, you can watch what you want, when you want, and how you want. There is no limitation whatsoever in the digital space of television. Even if you missed an episode of your favorite soap opera, YouTube and other streaming sites are always there as a backup so you can catch up on any movies or scenes you missed. And finally, with the proliferation of online dating sites you register on a website, find a match, and you start communicating without meeting in person until you decide there is a connection. For better or worse, technology has also made it possible for you to search the person’s profile on the Internet to gain access to the information you want to know about a particular person. Online dating platforms have millions of registered users and have received lots of good reviews from every part of the planet. Dating platforms have helped people connect with their match with speed that neither person has to waste the other person’s time. It is comfortable, straightforward, safe, and it works. Commonly referred to as “the Web,” the World Wide Web is a medium initialized in 1989 by Tim Berner-Lee and CERN. This medium changed the information landscape immensely by allowing a collection of documents and resources to be uploaded as uniform resource locators (URLs). These documents and materials are accessible through the internet and act as a model for sharing information internationally. Not only did this make information more easily available, but it also allotted room for more improvement and advancements in modern day objects and technology. 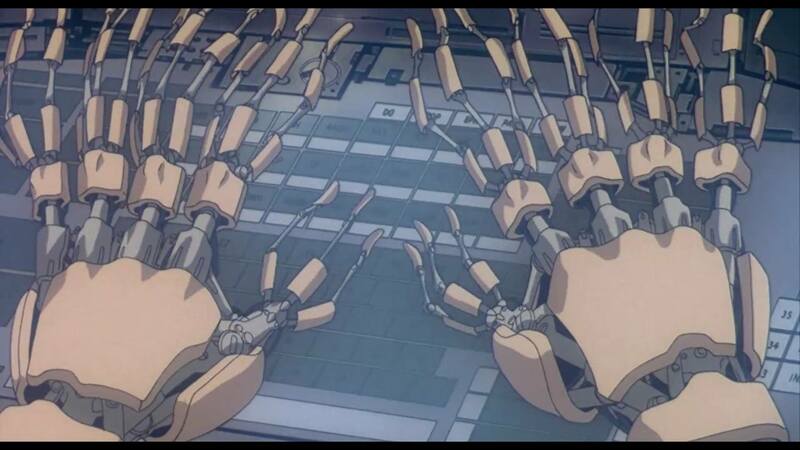 In the movie, all of the Ghosts were connected through one system and shared various forms of information and advanced technology. The presence of the World Wide Web allows them access to information that has been gathered throughout time. Their capacity to become sentient was acquired through the help of this World Wide Web. Not sure how this follows It can also be said that the influence from different countries would not be present without the support of this system. In this story, had their World Wide Web been there, there would be no need for a Puppet Master since the information would not be all in one place; therefore making the hacking into their system much more difficult. Not sure about the analysis here. The Web is essentially an interface to information on the Internet. The characters of Ghost access the Net in a different manner (wired connections and robotic data input). Not sure how the Web makes the content of the Net different. Natalie – Your writing is excellent. Well edited and concise. However, your analysis could have gone deeper into McLuhan’s use of the critical perspective.You have a good handle on McLuhan’s questioning commonly held assumptions. The betterment of society was only briefly mentioned, and your short paragraph on expanding the bounds of debate sounds a lot like challenging assumptions. A better example might be his inclusion of the perspective of children in the debate over the problem of modern education. Rather than blaming children for doing poorly in schools (Why Johnny Can’t Read was a famous book of the time), McLuhan argued that the system of education was the problem. The perspective of children, that school was not “relevant” to their lives, had been ignored. He expanded the bounds of debate by including and legitimizing the perspective of a group of people that had been given consideration. Thesis statement: McLuhan uses the critical perspective by questioning commonly held assumptions, expanding the bounds of debate, and aiming for the betterment of society. McLuhan questions commonly held assumptions by bringing up what people believe to be truths. He does this by contending that, “all media – in and of themselves and regardless of the messages they communicate – exert a compelling influence on man and society.” This is something that to this day continues to question the commonly held assumptions we all have. It shows how ahead of his time he really was. His viewpoint of technological advances and where they were and where they would show that people weren’t, and still don’t, pay enough attention to what they should be focusing on; in this case being that the fact that you can watch the local news live from nearly anywhere is much more important than what the news is, for example. He unquestionably makes sure to question what we know by shifting our focus to how we know it. McLuhan expands the bounds of debate by calling into question what we believe. The proof of his writing can be seen in his example of the printing press. People were so enamored by the idea that they could now read books they would have otherwise never been able to see and skimmed over the fact that there was now a machine that allowed this in the first place. McLuhan sets out to improve society by helping us see how important our surroundings are. We are living in an era of information overload, McLuhan’s ideology has us pay more attention to the things we use every day. He aims for us to improve ourselves and in turn our society by having us put our heads above the water to see more than that we’re so accustomed to. Natalie- Excellent essay. Your analysis of rhetoric is spot on. You’re a good writer, tying your arguments together in a seamless and readable whole. Simons has one m. In this class, no need for formal names or titles of material in the readings. After many semesters, the coaches know the material. With only 500 words, it’s best to get right to the analysis. Thesis statement: Psychology professors Christopher F. Chabris and Daniel J. Simmons use logos, pathos, and ethos in their article “Why Our Memory Fails Us”. Remember that a thesis must be disputable. Not sure if anyone would disagree with this. Christopher F. Chabris and Daniel J. Simmons’ New York Times article, “Why Our Memory Fails Us,” Chabris and Simons begin to build their case on the problem of relying on one’s memory with an example of the rhetoric logos. They use the example of Neil Degrasse Tyson and his comment about George Bush as a form of showing the logical response to what Dr. Tyson believed to remember. They use his comment as a rational way of bringing their point across to the readers. Chabris and Simmons also use pathos when they, ironically, speak about the emotional response of the readers when confronted with their memories. “But when our memories are challenged, we may neglect all this and instead respond emotionally, acting as though we must be right and everyone else must be wrong.” This brings in the readers by invoking sympathy to what is being said. They also use the tactic of resorting to anger the readers so they can relate more closely to what is being written. Very good point, but you don’t need the entire quote. The writers also use ethos not only in the examples of Neil Degrasse Tyson and George Bush’s statements but also in their use of cases made by the National Academy of Sciences, cognitive psychologists Henry L. Roediger III and K. Andrew DeSoto, as well as the psychologist Sir Frederic Charles Bartlett; among others. These examples provide and offer a look at many reliable, known, and respected sources. The studies made by these sources offer more proof of their use of ethos in this work. Good. Christopher F. Chabris and Daniel J. Simmons do an excellent job of building their case against memory with a blend of logos, pathos, and ethos. They do tend to rely more heavily on facts and studies than they do on the emotions of the readers, which cause causes their tone as authors to be more serious and studious. Excellent observation. The top three readers picks comments were found to be convincing because of their blend of the three rhetorical analysis techniques. The comment made by Neil Degrasse Tyson was short and to the point, avoiding any use of pathos to convince the readers. He used his reliability as a well-known scientist as ethos, along with his use of logos in providing external links to where he makes a more detailed explanation of the topic in the article. The final comment by Jacob Sommer uses a more pathos technique to convince the reader. His explanation of how he sees the best in people instead of assuming they are purposely misleading invites the readers to feel sympathy towards those that may remember incorrectly. Very good analysis of the comments. I believe the Times approach to ranking comments is effective because it allows the readers to choose whose comment is first seen by others.